From the creators of Narcos, Wild District follows the story of a man who escapes the Colombian armed conflict only to find himself facing a new, more personal war. The 10×60-minute series, which features a mix of drama and action, was conceived by Cristian Conti, co-founder of the Bogotá-based production house Dynamo and whose list of credits includes films such as 7 Años. The idea for the series came to Conti more than ten years ago, after sitting down with former guerrilla fighters who were going through the process of being reintroduced into society after the signing of Colombian peace agreements. “The stories I heard were so sad and terrible; it’s really heavy stuff,” says Conti. “I thought, these people deserve to have their stories heard, but the time wasn’t right back in 2006 because the situation in Colombia was just too tough.” Once he saw the peace process coming together, that’s when Conti felt the timing was right and the series began to take shape. 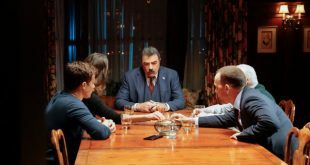 ZDF Enterprises came on board very early in the process, co-developing the show with Dynamo and marking its first co-production in Latin America. Robert Franke, VP of ZDFE.drama at ZDF Enterprises, says that the company was enticed by the show’s concept and by the auspices of Dynamo. “We heard the pitch and thought it was really relevant, given the fact that the peace process is a continuing thing in Colombia,” recalls Franke. 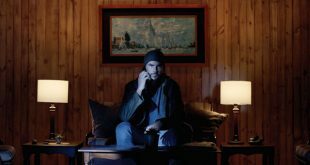 “At the same time, we thought it would be something that resonates very well internationally and makes for a compelling background to tell a story about somebody who has to find new meaning in the world after leading a life of violence.” Wild District was produced as a Netflix Colombian original, with ZDF Enterprises holding rights for the rest of the world. 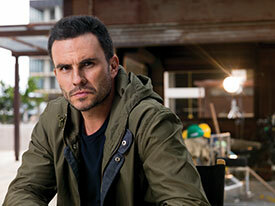 At the center of the action is Jhon Jeiver, alias “Yei Yei,” played by Juan Pablo Raba (Narcos, 7 Años, Los 33, Six). Yei Yei was kidnapped by the Revolutionary Armed Forces of Colombia (FARC) at age 13 and trained as a one-man army. A lethal guerrilla fighter, he escapes the jungle and tries to reinsert himself into society, as well as reconnect with his long-lost family. The story follows as Yei Yei struggles to understand the ways of the concrete jungle and protect his family from his past while facing a moral dilemma about which side of the law he belongs on. He links up with Prosecutor Daniela León, played by Cristina Umaña (Narcos, Sala de Urgencias, Todos quieren con Marilyn), and must infiltrate a dangerous and well-connected criminal organization run by another ex-FARC. Umaña—who describes her character, Daniela, as “a strong woman” who is motivated by truth and justice—says that Conti’s research about prosecutors in Colombia and their cases was vital in shaping her performance, but that she also witnesses firsthand the country’s political forces at play. “We live these realities all the time,” Umaña explains. “There are many problems in Colombia, and corruption is a big part of all of them. There’s inequality; a few families in the country have all the power and money, and the rest of the people are living in poor conditions. This creates resentment, fear and anger.” Corruption, she adds, is something that impacts many countries around the world. And audiences can look forward to more action in new episodes of Wild District, which was recently ordered for a second season. A special screening of Wild District is being held today, April 9, at 3:45 p.m. in Auditorium K.